A new study published in the Space Weather journal shows how scientists can now predict some of this dangerous space weather a day in advance, providing some early warning for satellites. Specifically, it gives a whole day of warning when space storms of high-energy particles are headed toward spacecraft and satellites in Earth’s outer radiation belt. Yue Chen, study lead author, Los Alamos National Laboratory. The study’s lead author is Yue Chen, a space scientist at Los Alamos National Laboratory. Earth’s outer radiation belt, or Van Allen belt, is situated around the equator, in a band about 34,500 km (22,000 miles) thick, starting at about 13,000 km (8,000 miles) above Earth and extending to about 48,000 km (30,000 miles). The belts are created by Earth’s magnetic field, and it actually protects Earth from high-energy particles. The particles come primarily form the Sun, and are mostly deflected by the belts. But the belts trap some of those particles. Many satellites spend at least some of their time in that belt, where the trapped high-energy particles can behave unpredictably. When a space storm hits, the Sun sends more high-energy particles toward the Earth, some of which are deflected, and some of which are trapped, increasing the density of those particles in the belts. That makes it more likely for satellites to encounter them. It’s not the body of the satellites that are at risk; it’s their sensitive electronic systems. In order to protect the satellites from this dangerous weather, operators can put them into “safe mode” to reduce their vulnerability. This means shutting some systems down for a period of time. Ironically, it’s our skill at miniaturizing electrical components that makes them more vulnerable to high-energy particles. As the size of components shrinks, so does their voltage. This means that the charge of the incoming particles is similar to the charge in the circuits, exposing the circuits to risk and creating a dangerous situation. Knowing a full day in advance when a storm is going to hit allows operators to plan for it and to protect the satellites with minimal interruption. The study used two satellites to predict when a solar storm is coming. The first is a Los Alamos National Laboratory satellite in low-Earth synchronous orbit. The second is a National Oceanic and Atmospheric Administration satellite in low-Earth orbit. The researchers used a “connect-the-dots” approach to create a reliable model of solar storms and high-energy particles. 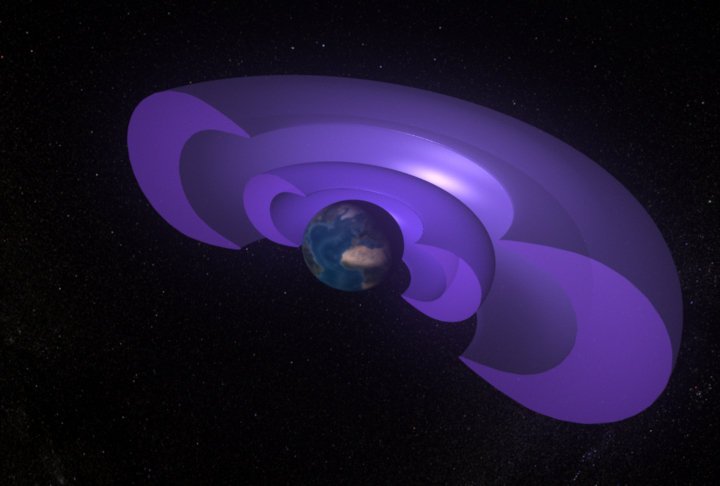 They were able to correlate between the electrons and the satellite orbits, and identify “informational triggers” that can predict changes in high-energy electrons in the outer radiation belt. Older PostHow much evidence is enough to declare a new species of human from a Philippines cave site?